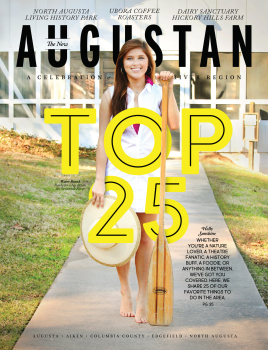 Downtown Augusta really has a lot to offer! One of my favorite places to eat in Augusta is the Mellow Mushroom. 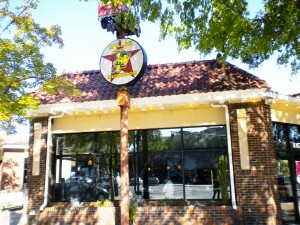 The downtown location has a really laid back atmosphere and unique architecture. The restaurant is housed in a renovated gas station, with perfect spots to dine inside or outside and enjoy the hustle and bustle of Broad Street. It is a great place to stop by for a hoagie or a slice at lunch, with nearly any kind of pizza topping imaginable. Their garlic and parmesan pretzels with marinara dipping sauce are always a great way to start off your meal and their salads, calzones and pizzas really are to die for! Since the Mellow Mushroom is in such a great location in downtown Augusta it is within walking distance of Riverwalk and several other attractions like Springfield Village Park and Artist’s Row. And if you come downtown to the ‘Shroom for supper, be sure to take a stroll along Broad Street after you are finished. You never know what kind of nightlife you might find at Augusta’s bars and pubs! If you enjoy the casual vibe of the Mellow Mushroom, then you will definitely enjoy Stillwater Tap Room, located just two blocks down Broad Street in Downtown. They have a great selection of beers and spirits for you to enjoy while sitting in one of their rocking chairs. You can also challenge your friends to pool or darts upstairs or relax at the bar while taking in one of the bluegrass bands that usually plays. 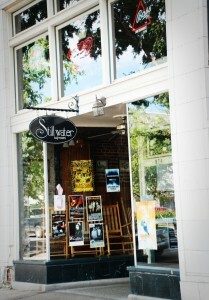 For more information on Stillwater and a live music schedule, click here or call 706-826-9857.